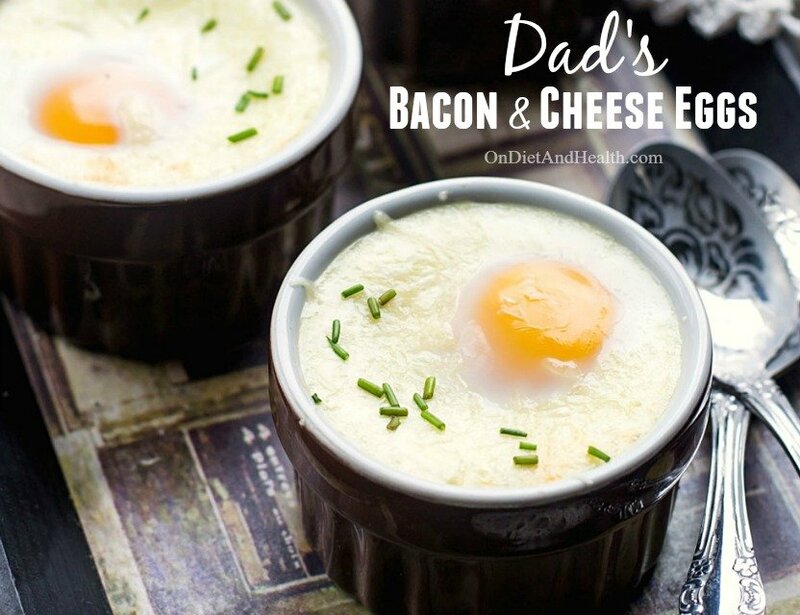 My Dad’s cheese eggs were a staple on Sunday mornings. He used one of those “new-fangled” microwave ovens to cook the bacon. That works fine but I prefer not having one in my home. Sometimes he’d make waffles or buckwheat pancakes, but I was always happier with protein and fat, even then. An early Paleo girl for sure! Like most of my easy recipes for Gluten Free or Paleo cooking, these are simple to adapt and easy enough for anyone. Even those who “can’t cook”, like my Dad! • Cook the bacon, leaving it soft and pliable. 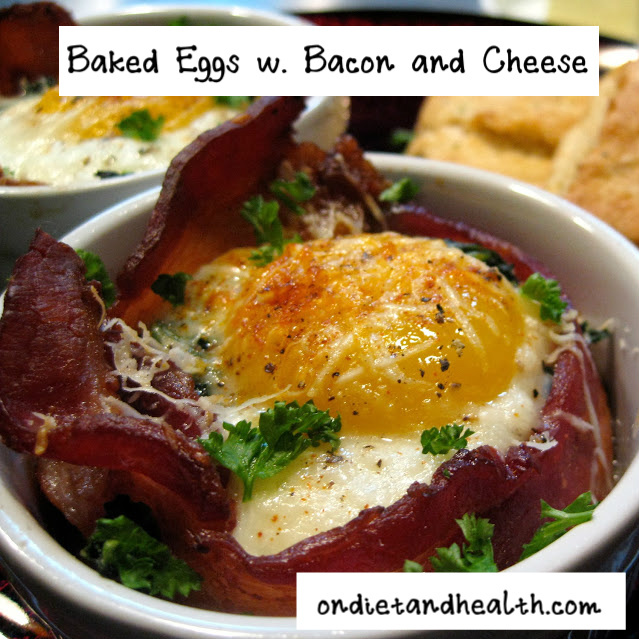 Curl bacon strips around the inside of buttered muffin tins (silicone are great) or individual small ramekins. Don't let the bacon stick over the top. 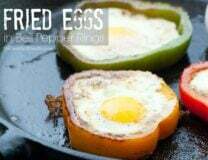 • Gently break an egg into each spot and sprinkle with pepper. Don't use salt if using cooking sherry. 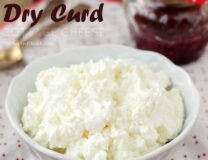 • Top with a pinch of cheese (as much as you like), and a teaspoon of cream, butter or ghee. • Add a teaspoon of sherry before baking. While optional, sherry definitely adds a "secret ingredient" flavor that's subtle but tasty. Cooking Sherry is inexpensive and has no alcohol. Most groceries carry it. You can use real Sherry wine too but the flavors vary and it doesn't keep. It's a great substitute for Rice Wine in other recipes though. 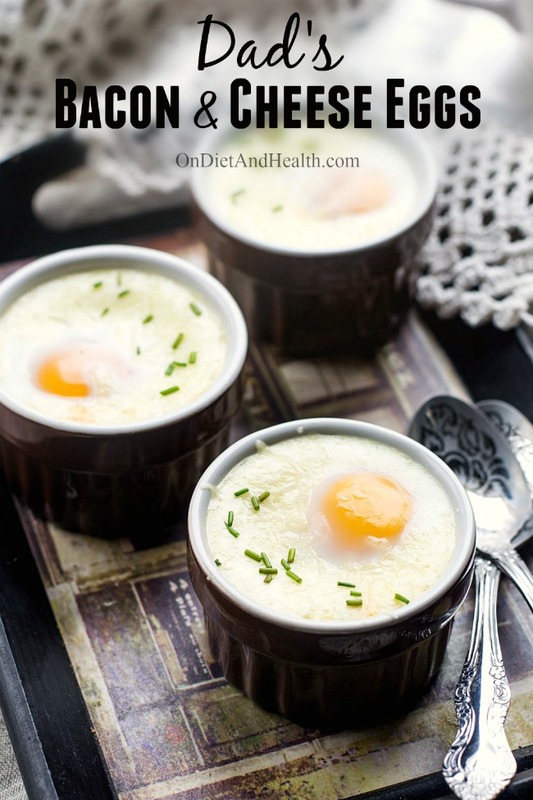 • Bake at 350 degrees until the egg is set as you prefer, about 15 minutes. 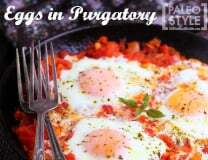 Add other ingredients as desired, such as tomato, cooked spinach, cooked onions or peppers, fresh herbs, etc.